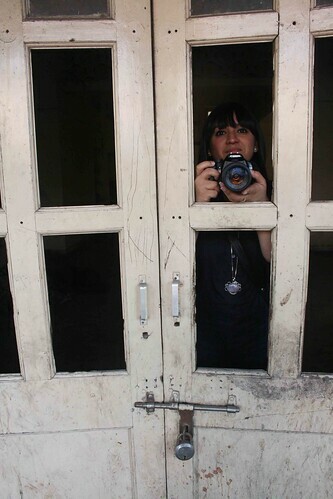 Opened in 2004, the Walled City museum in Lahore Gate smells of urine. 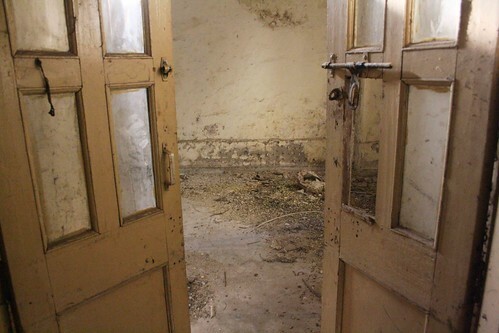 Housed in the Shri Narayan haveli, circa 1929, the windowpanes are broken, the door is unlocked, the halls are empty, the spotlight bulbs are missing and electric switchboards have come off the walls, revealing red, yellow, green and blue wires. 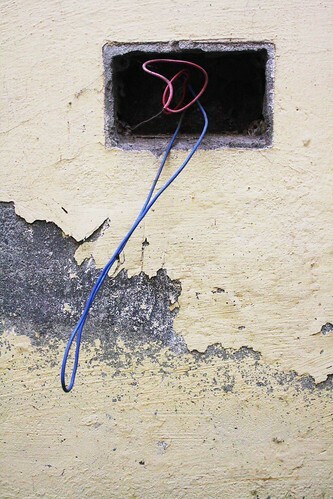 The Delhi Walla is carrying a clip from the Indian Express newspaper, dated February 7, 2004. Minister of State for Sports and Youth Affairs Vijay Goel today inaugurated a Walled City Museum, depicting 350-years of the history of the city at Chandni Chowk. 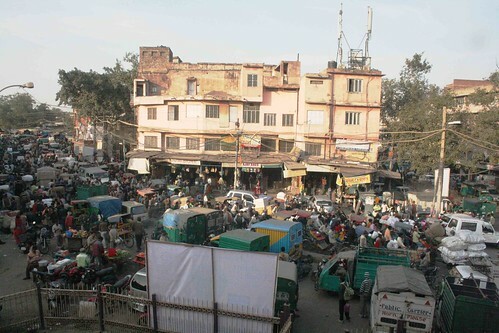 Located in Old Delhi’s heart, the traditionally-built private mansion looks to a square jammed with rickshaws, bullock carts, cars, bikes, traders, food vendors, labourers, shoppers and beggars. To the right is Khari Baoli, the spice bazaar. 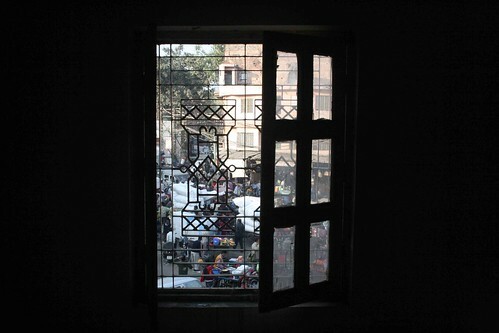 Beyond is Chandni Chowk. The left lane goes to Sadar Bazaar, the wholesale market for Chinese goods. 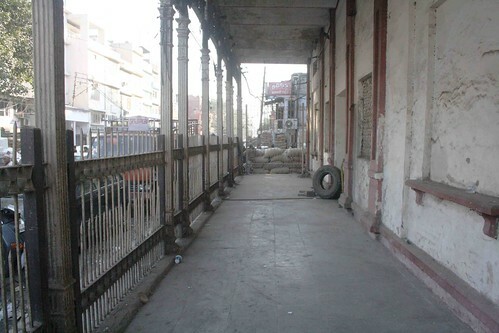 Straight ahead is the Old Delhi railway station. 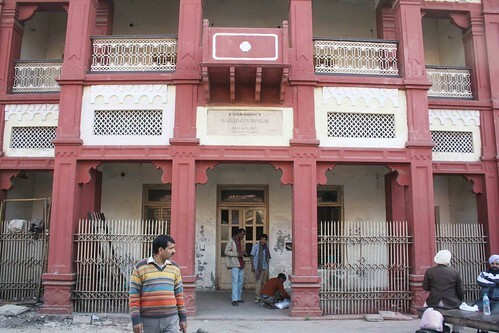 The spice merchants use a part of the haveli’s compound as a makeshift godown. 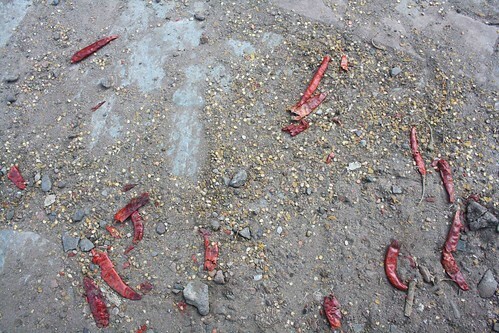 The yard is speckled with whole red chillies. 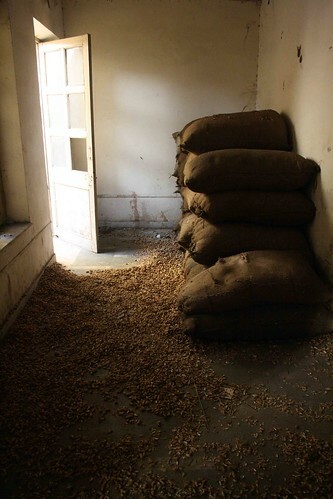 A section of the corridor that faces Khari Baoli is stacked with sacks of basmati rice. The corridor has stenciled pillars. Goel’s plans for the museum include putting on display artifacts and rare photographs of Shahjahanabad, jharokas and jaalis of the 16th century. Also on display will be different sections on the many colours of the Old City’s life. 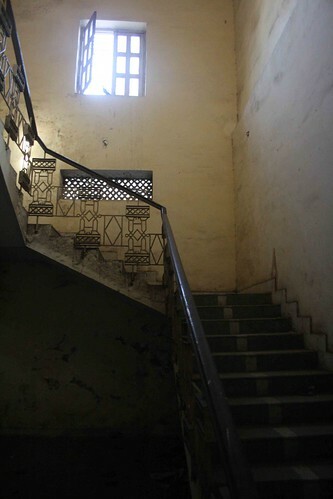 A stone slab on the foyer reads: ‘Walled City Museum from Vijay Goel (M.P.)’. The bare walls in the first room display two signs: ‘History and Grandeur’ and ‘Houses of Worship’. A corner room is partially filled with stacks stuffed with peanuts. The unshelled nuts are littered on the floor. A few rooms are locked. Broken concrete slabs are piled up in the verandah. There will be sections on the food culture in the form of a food court, the dresses of Old Delhi and even the style in which the houses were done up. 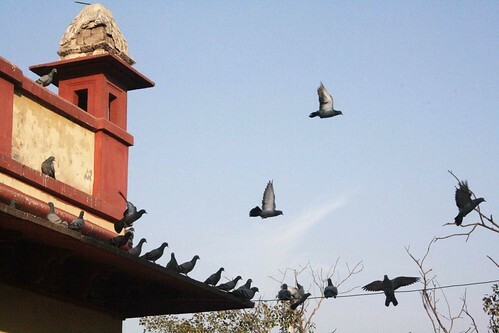 ‘‘All the exhibits are part of my personal collection that I put together in two years of research for my book on Old Delhi,’’ said Goel, who is spending Rs 75 lakh from his MP Local Area Development (MPLAD) fund on the project. A sum of Rs 30 lakh was spent earlier on the building. The staircase is stately. The tiled floor on the upper level is covered with a thick coat of dust, along with paint peels. Plastic glasses are flung around. There’s also a dirt mattress. The museum must be somebody’s night shelter. The terrace floor is stained with bird droppings. One side overlooks the railway tracks. The other side is screened off by a peepal tree. A peepal plant is growing out of a drainage pipe. Two pigeons are perched on an electric wire. The bazaar sound is muffled. For the inauguration on February 8, the minister of state, Goel has lined up a cultural festival at the museum in collaboration with the Indian Council of Cultural Relations (ICCR). A food festival will also be organised to celebrate the occasion. 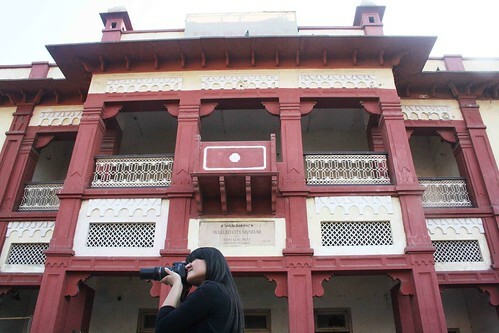 Come to this museum to witness Delhi’s essence: the city has so much beauty but it lies wasted.